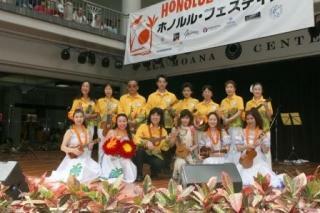 I do practice the Ukulele and singing for about one or two hours everyday. Or at least I keep on listening to my voice from my MD player every day. I know, no matter how busy or sleepy I am, I must make time for music. The longer I spent for music,the better I can play, right? Hope you will enjoy our next work of art. 'Miss Anella' -- the past winners from Tokyo Japan. music, and show-biz marketings nowadays in and out of Hawaii,and so on. This project is called 'BBTS' -- the Brown Bags to Stardom. the future stars from this project. We are launching our new website for the Music Foundation of Hawaii. We will start to update and add information and post links to past archives. copyright © 2007 アネラ ブログ / Anella Blog all rights reserved.